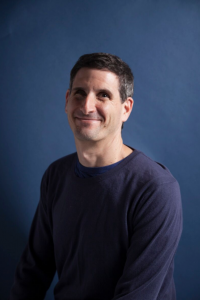 Armed with a “How to Run an Independent Label” guidebook and a passion for punk rock, Louis Posen ’02 (Radio-Televsion-Film) launched Hopeless Records as a hobby, hardly imagining his label would still be going strong 25 years later. Louis Posen celebrates 25 years at Hopeless Records. Photo courtesy of Louis Posen. With his label, Posen has worked with prominent ​​punk/alternative bands such as Avenged Sevenfold, Taking Back Sunday, New Found Glory, All Time Low and Guttermouth. His commitment has remained the same — “to emotionally connect people to art,” Posen said. Posen found punk, or rather it found him, at age 15, when his friends took him to a concert by the punk rock band X at the Reseda Country Club. The teen found his crowd — with the socially rebellious and the anti-mainstream music lovers of the 1980s and ’90s. Before punk rock, Posen had a passion for film. As a child, he kept long lists of his favorite directors and movies to see, always ready to make a trip with his grandmother to the nearest Blockbuster Video. After high school, Posen enrolled at California State University, Northridge to study film, with hopes of becoming a filmmaker. A look into the past when Louis Posen first started Sub City Records, an offshoot of Hopeless Records with its main goal of philanthropy. Photo courtesy Louis Posen. His budding film career and studies were halted when Posen, at 19, was diagnosed with retinitis pigmentosa, a rare degenerative eye disease. But his passion for music remained. This shifted his focus from film to his music label, working full time. ​Despite the prognosis he continued his film studies at CSUN and developed his new label, gaining crucial experience working on music videos for bands. “It wasn’t exciting to hear the doctor say there wasn’t a cure [for retinitis pigmentosa] and that I would be losing my eyesight over time, but I was a typical teenager who wasn’t going to be told what to do,” Posen said. He combined his two loves when he directed his first music video for the punk rock band NOFX. Word spread and he was soon introduced to the band Guttermouth, who signed on as Posen’s first client on Hopeless Records, to put out their new 7-inch EP. Having little interaction with the music industry, Posen learned most of what he knows by first being a fan. He read rock magazines, talked to music store managers and sucked bits of information out of any well he could find. The first song on Guttermouth’s album was “Hopeless” and being the watershed moment it was for Posen, in tribute, he dubbed his new label “Hopeless” Records. He reminisced about his first couple of years in the business, joking that he knew he’d made it when he got a water cooler for his office so people could stand around and gossip. However, times were tough in those critical first years. “A lot of it was trial and error, but my philosophy has always been that the things you love the most won’t be the easiest to accomplish,” Posen said. “Those moments can either be stepping stones or stumbling blocks. 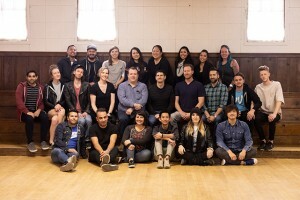 The team at Hopeless Records. Photo courtesy of Louis Posen. In 1999, Posen created a charity subsidiary of Hopeless Records called Sub City. The nonprofit organization connects artists to a number of causes and has raised more than $2 million for 50 different causes since its inception. Every year, the organization hosts the “Take Action” tour, which brings ardent young bands together to play music and spread awareness about important causes such as Foundation For Fighting Blindness, Toys For Tots and Adoption Advocates. Sub City music donates a percentage of their sales to nonprofit organizations. Sub City has been recognized for its work by the 110th U.S. Congress, the California Senate, the Los Angeles City Council, the National Association of Retail Merchandisers (NARM), Billboard magazine, Alternative Press Magazine, the Los Angeles Times and many other publications.